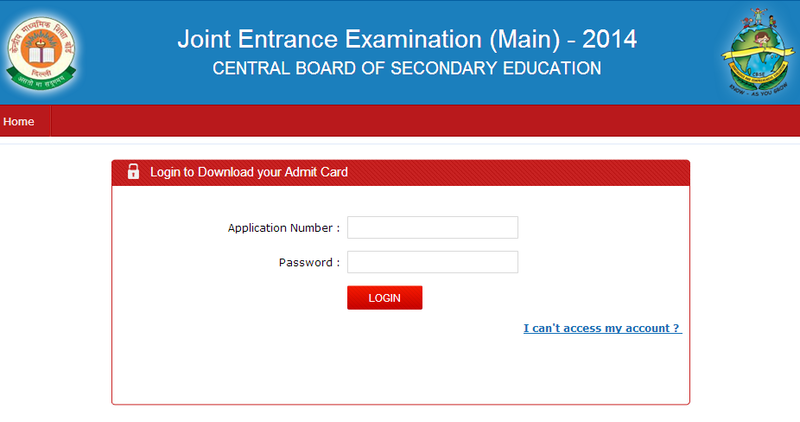 CBSE has now made the JEE Main 2014 Admit Cards available on their website for download. You would need to login in order to download your admit card. You will have to provide the Application Number and Password to login. You will have received both these things when you applied for JEE Main 2014 earlier in December 2013. If you forgot one of these, you can click "I can't access my account?" where you will be asked some questions and you will be provided with all relevant information. Tip: To avoid last minute rush, its better to download the admit card in starting days. Application process for JEE Main 2014 is now closed, so if you did not apply you may try next year or apply for various other entrance exams for admission to reputed engineering colleges. Join more then 40,000 students in preparing for JEE Mains in 2014 on simplylearnt.com. There is no better preparation for JEE Main than reaching Milestone 9 - Nirvana before your exam day. Read about some Last Minute Tips for JEE Main preparation.